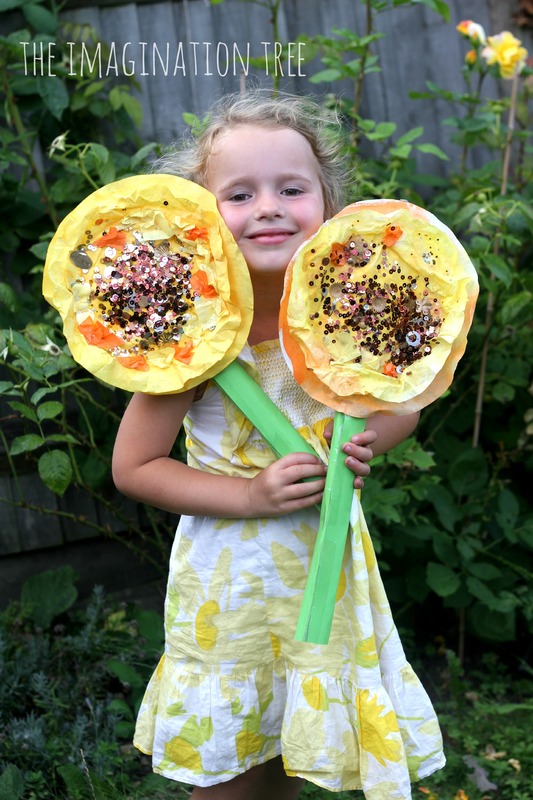 Create some gorgeous sunflower art work using coffee filters and mixed media to make a vibrant collage! 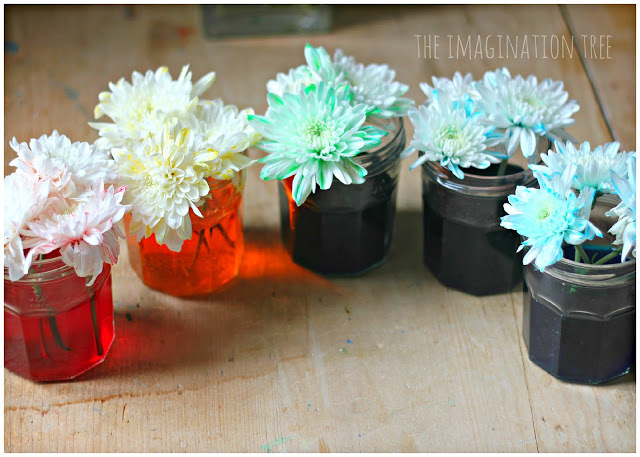 Perfect for toddlers to school age kids and a lovely way to celebrate the end of summer together. 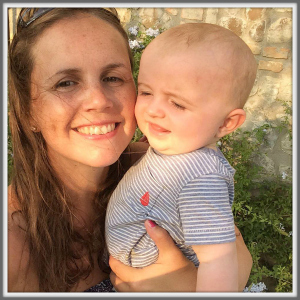 This summer we were lucky enough to spend some time in our favourite part of the world, the Italian countryside. 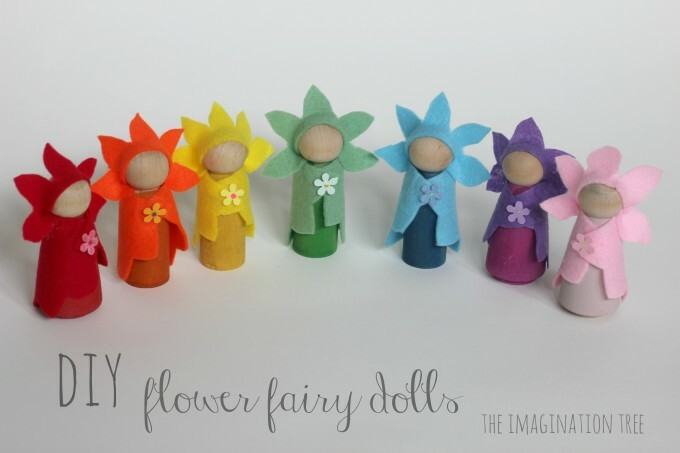 We were surrounded by gorgeous fields full of sunflowers and the girls loved to admire them up close and run tright through them, as they towered over their heads! We said we would make some sunflower art when we got back home and these made a fantastic summer art project together. 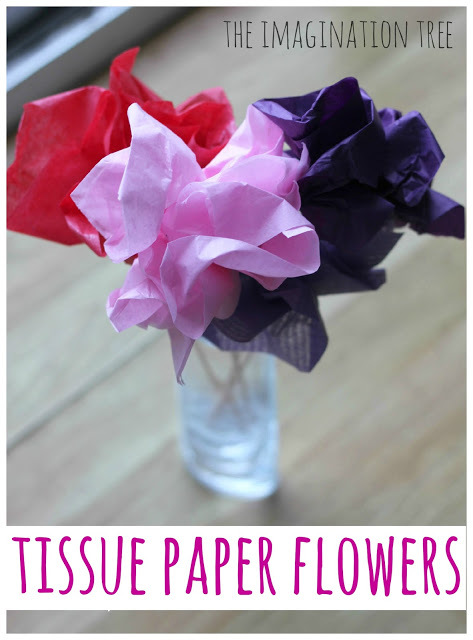 For this activity we used large coffee filter papers (the type that you can get in the US) as a friend gave us some after visiting there. 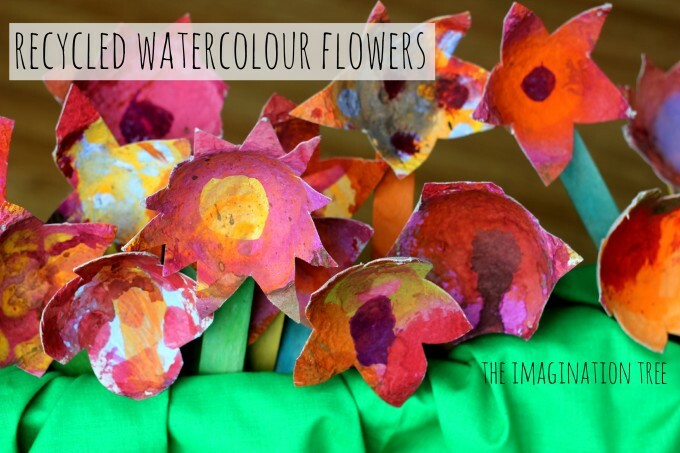 Here in the UK we tend to find only smaller ones, so either have a go with those or simply cut some watercolour/ blotting paper into circular shapes instead. 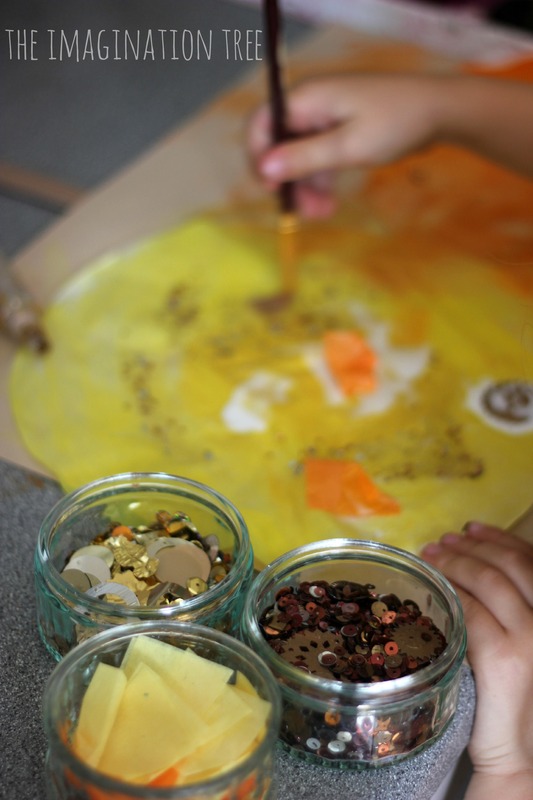 First they painted the papers with yellow and orangey hues, washing them over to blend together. 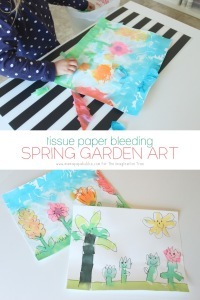 We had to take care not to use too much water as this thin paper can easily tear if it becomes waterlogged. Then they put a little glue in the middle of one circle and stuck them second on the top. We scrunched the edges of the inner circle to make them stick forward a little and add some texture and dimension. 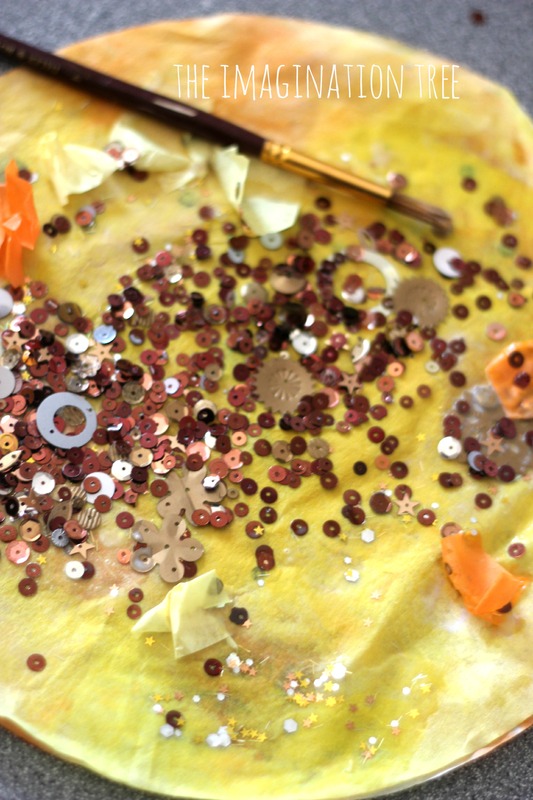 Then they spread on some glue and sprinkled lots of brown sequins in the centre to become the sunflower seeds. 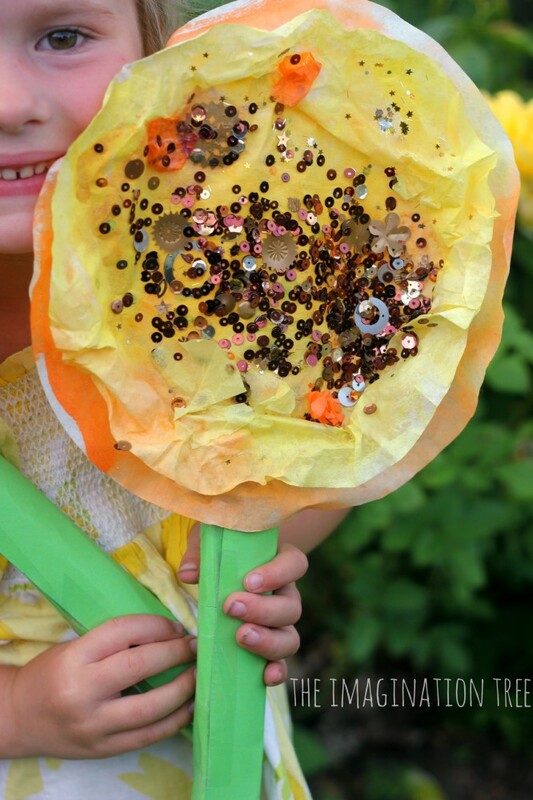 They added the other sequins, glitter and confetti glue wherever they liked all over the rest of the flowers, until they sparkled beautifully! 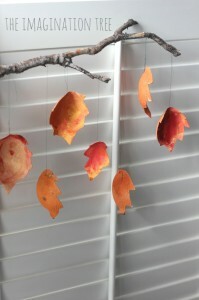 They also scrunched little pieces of tissue paper and added those for further texture. Then we rolled some green card to make some thick stems and secured with tape, taping them onto the back of the flowers when dry. All finished and looking bright and beautiful to cheer up our house! 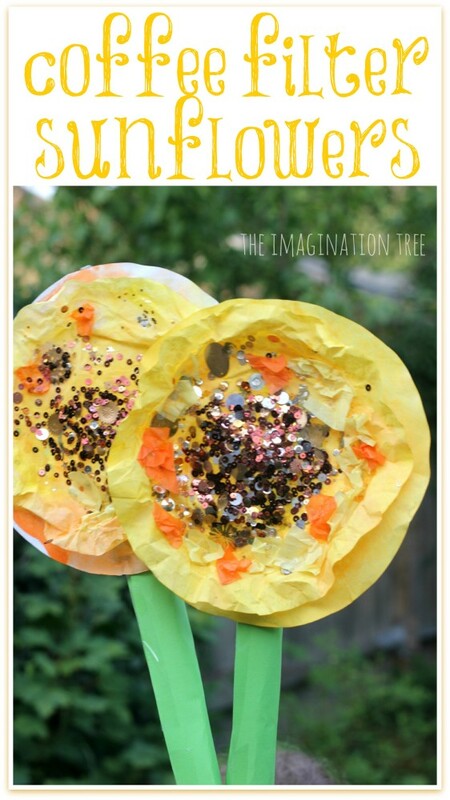 See our other flower related crafts, play activities and learning ideas here! There are lots to browse and choose from. Here a few to get you started! 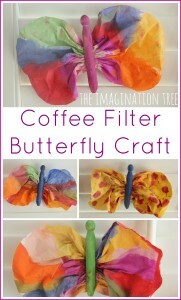 Such a sweet activity, I have seen lots of filter paper crafts before but none for children to take part in, this one is fun. 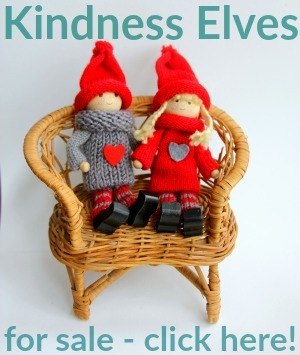 Do you/are you planing to home educate? 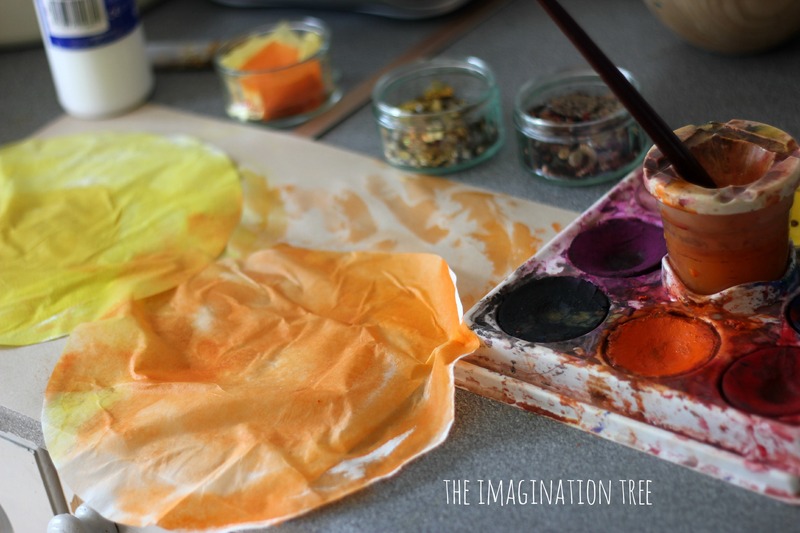 After reading this post on the last day of my holiday, where you were inspired by your holiday gave me loads of ideas for an art project linked to our holiday. So we can continue to enjoy our time away, many thanks.